I completed a voluntary position at the Stuart Hall Arts Library. I have always been fond of the library since the archive, space and location is all to my liking. I thought taking on this position will not only aid me with my research but also my personal journey of stepping out of my reclusive bubble. The interview went well but most definitely could of gone better. Its just so difficult for me to communicate how much I want something when I’m so passionate about it. Do you guys ever feel that way? Luckily, I got the position and was immediately amazed by the magnitude of the collection. Whilst handling books, periodicals and exhibition catalogues that were older than I (by decades), an instant sense of belonging rushed over me. To go in to a library that caters directly to your interests is the most amazing experience. Though most of the voluntary work depended upon organisation, we were able to look at the collections and note down what intrigued us. 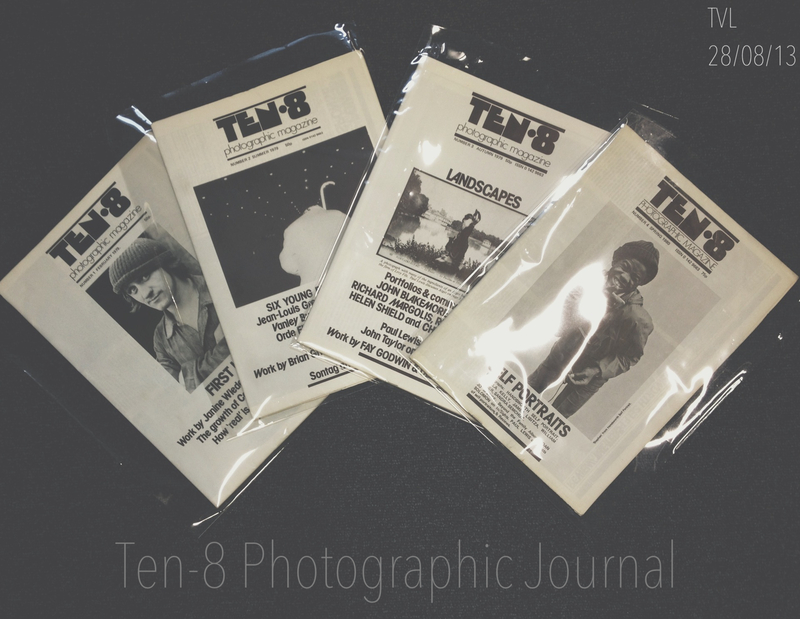 Whilst organising the Journals, I came across a fantastic collection named Ten-8. Created by a collective of photographers, attempting to creative a platform for independent photography. I was urgently attracted towards the older issues. Not only because they were in perfect condition for their age (1979-1992) but the layout was extremely organic . You could sense the struggle and passion of the Artists, and to me that was remarkably appealing. Perhaps the appeal derives from the fact that I’m quite an old soul or my attraction to photography, or maybe both. The issues depticted upon the time. Authentic culture, life and documentary. Living in the time where magazines hype celebrity culture, it was divine to see a sense of reality. Alas, the issues ended at the year of my birth due to inadequate funding and popularity. Its incredible that an issue that concluded 21 years ago, has had this kind of influence upon my craft. Working in a fame-driven world is not the easiest of missions. However, having these original pieces and using them as important apparatus can most definitely create a change.